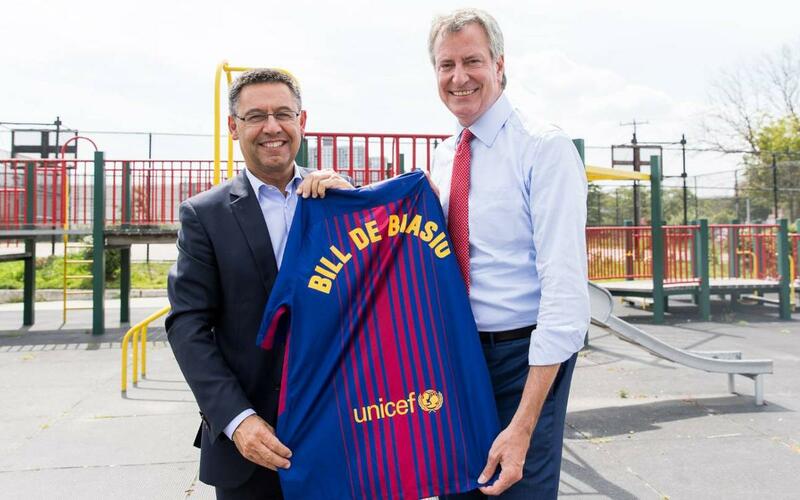 FC Barcelona President Josep Maria Bartomeu and New York Mayor Bill de Blasio met in Queens on Friday, the second full day of the Club's 2017 summer tour in the U.S. As part of the meeting, Mr. Bartomeu gave Mr. de Blasio his very own personalized Barça jersey. The meeting came after a FutbolNet presentation in the borough. FutbolNet is the FC Barcelona Foundaton's program promoting a values-based education through sports. Three schools in Queens will begin the program this September. More than 300 children are expected to take part.